In an effort to raise more awareness of the women in Congo, today I'll be hosting a giveaway from Lily Jane Stationary to encourage you, my readers, to get involved, spread the word, and make a difference. Every effort counts! We are making enormous strides in DR Congo, but our work is far from done. The women are filled with hope that you will help them continue to rebuild their lives. You're not only changing the course of one woman's life – you're support and generosity improves entire villages and communities! 87% report being more active in family decision making. "This program has dared me to hope of having a house, of living in peace, of reclaiming my dynamism, my dignity.... I would like to be someone of value again." Thank you all who have donated, registered for Yoga for Congo Women (100% of proceeds go to Women for Women International) and gotten involved on your blogs. I've been thrilled to see the response! Now, for the giveaway! 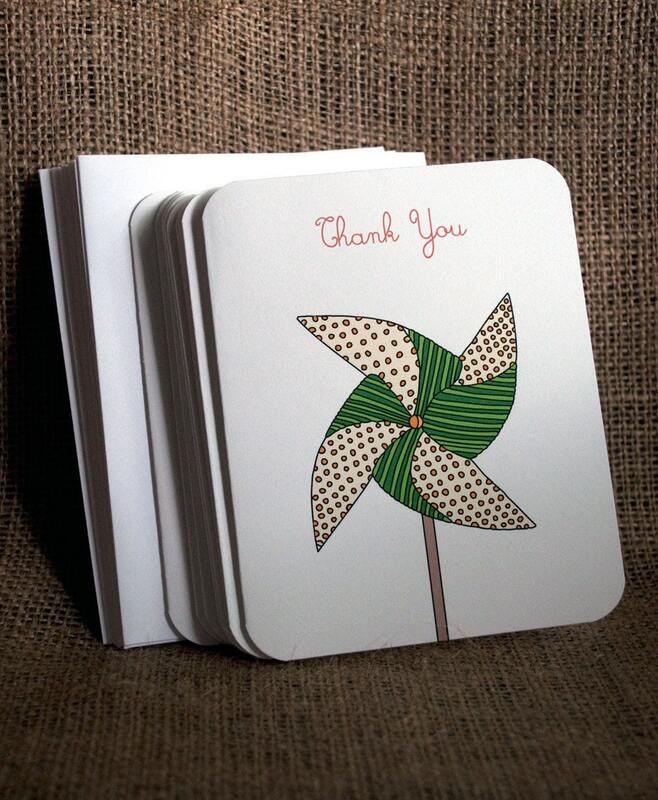 Today I'm so thrilled to introduce you to Lily Jane Stationary. 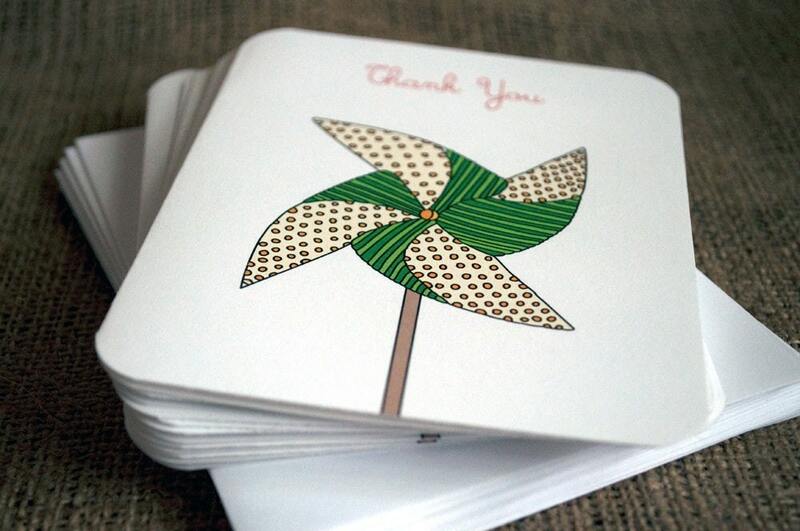 This beautiful stationary shop is donating this hand illustrated set of thank you cards (8 cards plus envelopes) in the effort for Congolese women. Check out her other stationary and bright and exciting blog. You'll love her free downloads for toy bin tags. Leave a comment if you visit the Yoga for Congo Women's website and learn more. Leave a comment if you have registered for Yoga for Congo Women in Colorado in September or registered for the online broadcast. Leave a comment if you have put the button on your blog. Leave a comment if you have talked about it on your blog or to a friend. Leave a comment if you have donated to the cause. You may enter more than once and please be sure to leave your email address. The more you get involved, the more entries you can enter into the giveaway! The giveaway will close Sunday at 11pm EST. So if you haven't already contributed to the cause for the women in Congo, go and do something. 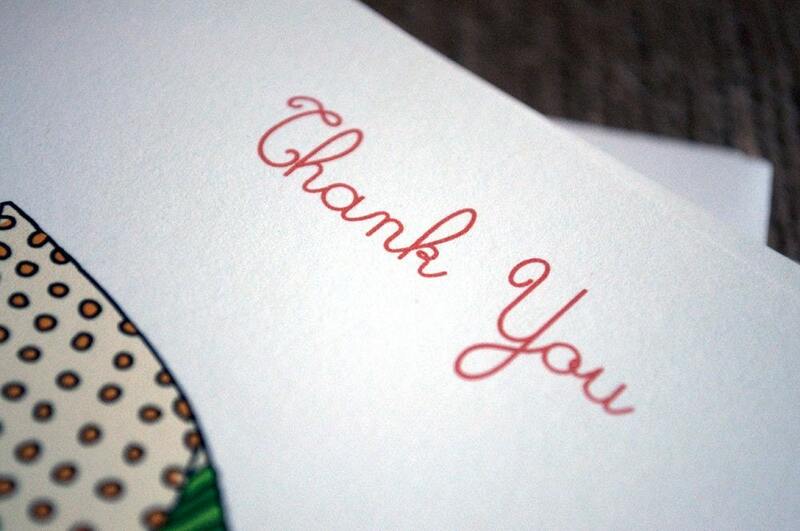 And like the cards say so perfectly, "thank you."